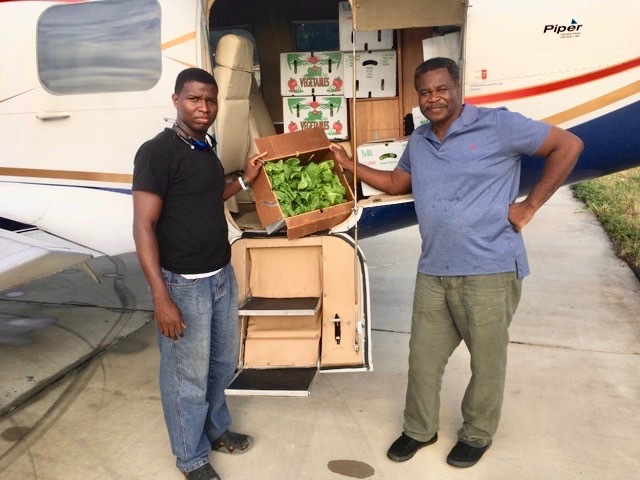 Boxes of lettuce from Kean High School’s aquaponics farm are loaded on to an airplane headed to St. Croix (photo courtesy of the V.I. Department of Education). Ivanna Eudora Kean High School students on St. Thomas recently supplied St. Croix with fresh organic lettuce for school lunches from their booming hydroponics farm. Through aquaponics, IEKHS is the first school to join with local farmers to provide freshly grown organic produce to the school lunch program. Twenty cases of lettuce were airlifted to St. Croix in the third week of February. A second shipment of lettuce is expected March 20. Now in its third year of operation, the Kean aquaponics farm produces about 300 pounds of tilapia each year. 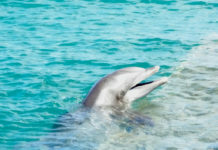 And it produces a variety of vegetables and herbs, such as kale, collard greens, green onions, watercress, mint, lemongrass, basil and lemon balm. 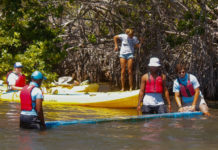 This new link of the territory’s farm-to-school program was made possible through a connection between Ridge 2 Reef Farm’s director, Nate Olive, student-turned-farmer, Clemon Lewis, an agriculture teacher at IEKHS who oversees the day-to-day operations of the aquaponics farm, and mentor Lewis at the Virgin Islands Good Food Coalition’s “Food Learn” event held on St. Thomas in late 2016. During the event, Ridge to Reef Farm to School Hub pledged to find ways to channel its aquaponics lettuce into the schools. And the shipment of lettuce to St. Croix did just that. Kirk Lewis with boxes of lettuce ready to be shipped (photo courtesy of the V.I. Department of Education). 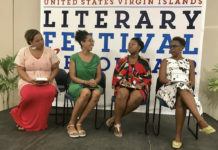 “We have been moving produce around the territory for years, and this is the first time I’ve seen crops going from St. Thomas to St. Croix,” Olive said in the statement. 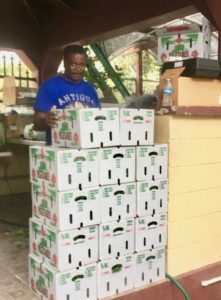 “It is an exciting development to see locally produced crops not only provide better nutrition in the schools, but also to witness the entrepreneurial opportunities becoming available to the up-and-rising generations in the USVI,” he said. The Ridge 2 Reef Farm 2 School Hub has been in operation for three years, with the aim of meeting the needs of the public school system’s need for fresh, local produce. As a famer-run hub, it sells both crops from R2R farm and crops from other production-oriented farms to produce a regiment of healthy, fresh crops for the federal School Lunch Program. To date, more than 12 farms have sold the schools items such as tomatoes, lettuce, pumpkins, watermelons, butternut squash, beans, eggplants, kale, and cucumbers.